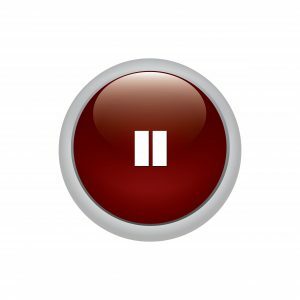 I don’t know if you have ever heard of the power pause technique or not, but it is a personal development tool that can help you to overcome any of your life problems. 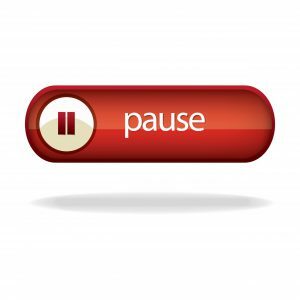 Last week I read a very good book from John Harricharan named “The Power Pause” and that was the very first time I got to know about this method, it is something so simple that even a kid can learn it, but please don’t make the mistake of doubting its effectiveness by its simplicity. Honestly, for me also it was hard to believe that the power pause method can help me in any way to improve my life because what it teaches appears to be very primitive from the perspective of someone like me who has explored a lot of self-help materials. The three steps you will learn here that this whole thing is all about, is not a secret formula that you won’t be already knowing, however, I think what makes it so effective is one important thing it does to a person’s mental state when he is facing any kind of problem, which is to break his focus for a while from the troublesome thoughts. A sudden shift in focus is crucial in solving any life problem, so many spiritual teachings and great philosophies have pointed out that all our problems are created by our mind and the focus we give to them is what magnifies it. Well, that makes sense, but according to John Harricharan this process can do a lot more than just that, this 3-minute practice can do miracles and he has witnessed such powerful workings of this method in his own life. As I mentioned, this simple process is much more than just a tool to change your emotional state, it is something you can use to change your life situations even during times when it seems totally out of control. 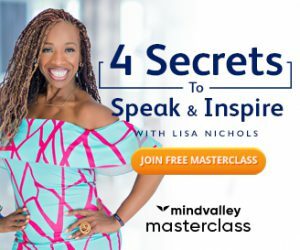 I am not saying this just because I believe that we hold the creative power to live a life of our desires by being in harmony with the universal laws, but I have read the testimonials where many people have shared the stories on how this one simple method has changed their lives. I have gained a more control over the way I react when something distressing happens by the use of this method, that alone makes a lot of difference. If you have heard about the law of attraction or learned the techniques to use your subconscious mind power for achieving what you want in life then you might be well familiar with the creative visualization process and how it gives you the power to attract what you want in life. Based on the same principles when you do this 3 steps which include a quick visualization, you emanate some strong intentions while you also stop fueling the emotions that were intensifying your problems. The author has described some cases where he used this method to instantly deal with some serious situations, like I have heard a story that once when he went to Somalia, he somehow he got into a place where he saw a lot of tribesmen with spear in their hands and he used this method which uncannily opened ways for him to escape. Well, I really appreciate him to have made it worked in such circumstances, but he says that the effect could be instant or it can take a lot of time. It is not at all necessary that you can only use this in difficult situations; you can make it a part of your life by performing it whenever you feel negative emotions in your daily life. I really believe that you can make a lot of positive changes in your world using this method; it is especially very useful for people who find it hard to meditate or do creative visualization. After all, who cannot manage to use 3 minutes for their personal development right? You will find a lot more about this technique in the book, but I am going to show you how to perform the power pause from what I have learned. In the first step, you will break the flow of negative thoughts or emotions that any situation might be causing in you. Sometimes you will have to convince yourself to draw your focus for 3 minutes, you are not going to take the whole day or even an hour, so you will succeed in making your mind to agree on focusing somewhere else for just three minutes. Don’t worry; you don’t have to be good at creative visualization for doing this. You just have to think or imagine a different life situation where you are not having any troublesome thoughts, you will have to bring the feelings of being in a good situation while doing this, it doesn’t matter if you are seeing any vivid image or not..feelings are important. Most people make a mistake of imagining a solution or a future event where they don’t have the specific problem which is bothering them right now. Please keep in mind that the solution is not in your hands, so just focus for a few minutes on the feelings by imagining a pleasant experience, it could be something opposite to what is troubling you right now but don’t imagine how it will happen..just think about the end results. A heartfelt “thank you” can do wonders and that’s why it is the final part of this particular process. After doing that short visualization just say “thank you” to the universe or any higher power you believe in. This gratefulness that you are expressing here is an act of faith where you trust that the universe will bring your life back to the track. I have found this method very useful for shifting my focus from the unwanted thoughts and I am pretty much sure that this will be useful to you as well. I would also suggest you my post on how to increase the happiness in your life. 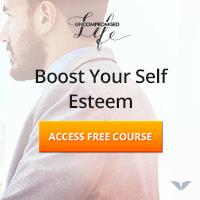 In my personal development journey I have always been too much focused on changing the limiting beliefs present in my subconscious mind, which indeed is necessary for a long term effect but recently I have come to learn that our conscious mind’s abilities are also pivotal when it comes to achieving any goal. This power pause thing was one small example of that and I am also learning a technique which triggers “physiological languages” that are certain behavioral methods that can greatly influence any situation in your life and thus turning it to your favor. I am learning it from a programmed named Alex West’s Tesla code secrets so I think you may also find it helpful. I hope you enjoyed this post. How do you feel about this method? I would love to hear your views on this so please do leave your comments below before you leave.